This may be the first spread betting offering available on MetaTrader 5. 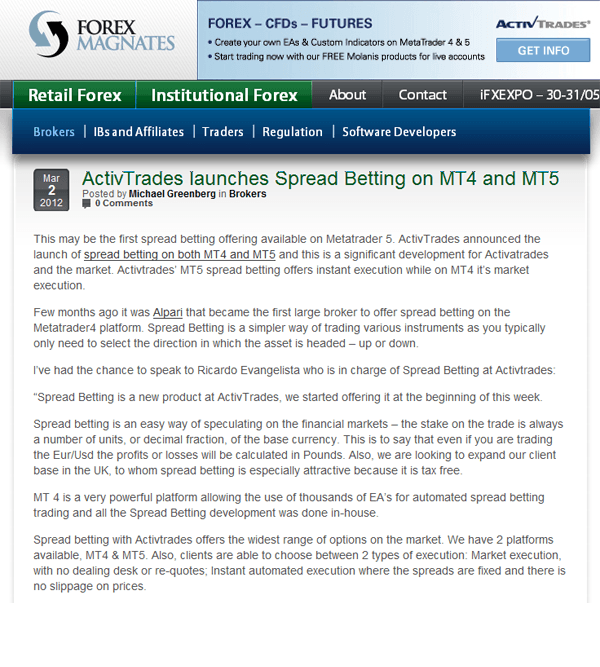 ActivTrades announced the launch of spread betting on both MT4 and MT5 and this is a significant development for ActivTrades and the market. 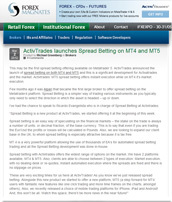 ActivTrades’ MT5 spread betting offers instant execution while on MT4 it’s market execution. Few months ago it was Alpari that became the first large broker to offer spread betting on the MetaTrader 4 platform. Spread Betting is a simpler way of trading various instruments as you typically only need to select the direction in which the asset is headed – up or down.